The more and more I think back on MSU’s loss on Wednesday to UNC the more and more I see it coming down to one thing, Izzo’s swings and misses on big men the last few years. 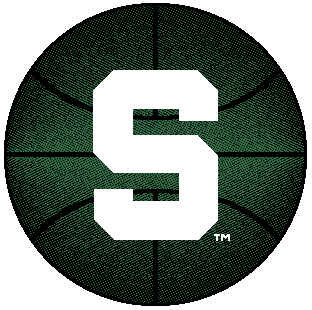 Izzo has done a great job recruiting players in the backcourt, but the lack of depth and production out of the post is going to haunt this team all year. Lets take a quick look at the big men listed on the Spartan roster. Delvon Roe – Has the potential to be great, however he is not a great post defender, and I’m not sure if he ever will be. He is a matchup problem on offense, but has not shown the ability to defend the post for a full game. He was pushed around while he was in the game by Ed Davis and Deon Thompson, and he also picked up his fifth foul with seven minutes left in the game. 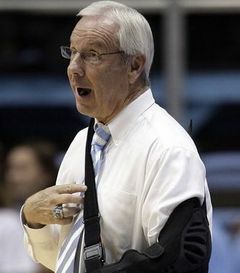 He will need to show great improvement if State is going to reach the Final Four as some predict. It wasn’t enough for Roy Williams to call out Michigan State sophomore Delvon Roe in his recently-published book. Nope, he decided to again go after Roe, a highly-recruited forward who most believed would choose UNC over MSU coming out of high school. He didn’t, and Williams still feels slighted. Williams, after indirectly criticizing Roe’s recruitment to MSU in an autobiography released this year, took a more direct tack Tuesday. Nice of you to show up: Delvon Roe’s performance against Valpo a sign of things to come? After not scoring in Michigan State’s two wins over Florida Gulf Coast and Gonzaga, sophomore forward Delvon Roe is showing signs that he’s rounding into form. Roe has the ability to dominate in the Big Ten and the Spartans really need him to do it. The loss of Goran Suton has been glaring in MSU’s first three games and Roe needs to fill in the gap. Thus far, I don’t think the Spartans have looked like the second-best team in the country, but I think Roe is the key to making that happen. Roe broke out with a 17-rebound performance Sunday against Valparaiso that included 10 boards on the defensive end. He also dropped 10 points on 3-for-6 shooting. Izzo has said Roe has also been making strides in improving his free-throw shooting — by far his weakness last year in a season in which he attempted to get healthy from knee injury.